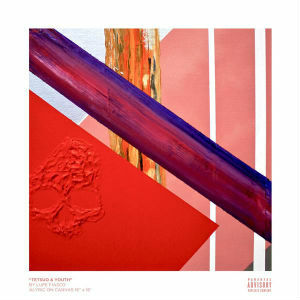 Lupe Fiasco approaches hip-hop like no one else. His raps have a chain-mail sound to them, intricate and tightly linked and his subject matter is pleasantly unique. With Tetsuo and Youth we have one of his best albums, but it’s hard not to feel a little disappointed. Lupe jumps right into the album with the “Mural”, a song dense with meaning and robust enough to last almost 9 minutes with no hook. His strengths are just undeniable, he has been an unapologetic auteur for his entire career and his devotion to the form is evident throughout. Songs like “Adoration of the Magi” and “They.Resurrect.Over.New” (featuring an excellent Ab-Soul verse) showcase his approach to lyricism. His words all slot into place perfectly, not only does every line work perfectly with the ones surrounding it but every sound plays with the ones next to it. His lyrics have always tended to the cryptic due to this, but the flow is incredible. Similarly, his viewpoint remains as fresh as ever. “Prisoner 1 & 2” goes through an entire prison, looking not only at the inmates but the guards as well and “Deliver” talks about a neighborhood that pizza men will not deliver to. Yet, it’s hard not to feel sad that this album is not something more.”Tetsuo and Youth” just isn’t the masterpiece that Lupe has always had in him but never really been able to realize. There’s too much in there that just doesn’t do enough. The beats are mostly too generic to hold up the raps and the album doesn’t really have a stand-out track like Food and Liquor‘s “Kick, Push” or The Cool‘s “Superstar”. This is still a good enough album to deserve a listen and I would be shocked if that does not lead to many more. After all, isn’t it a statement on the ability of the artist that I wish it was a little more? Art Angels is entirely the album of an auteur. That means a care and dedication to the craft that, while increasingly common in pop, is still rare and noteworthy. It also means a number of idiosyncrasies. This is very much an album of an individual. That should be fantastic and mostly is, but this is an album with personality and I have yet to find a person with nothing to dislike. I love so much about this album though. “Kill V. Maim” and “Flesh Without Blood” for instance are just perfect pop, effortless to fall into and deep enough to keep you in. There are so many ideas in these songs and all of them are good. Grimes here presents an unapologetic idea of pop that she completely owns and that is both imaginative and exceptional. For all of that though, the album has flaws. For one, the lyrics are throwaway. This is largely fine for an album that is clearly not focused on them, but it is hard not to be a little disappointed when they turn out insubstantial. Additionally, given the variety in the album, it would be hard not to find some things to kick against. “Venus Fly”, for instance, lets down an energetic chorus with a muddled and repetitive song. Similarly, “California” and “Butterfly”, while both great songs do have moments where they seem to try to skate by a little. Also, I honestly just dislike “SCREAM”. This is the album of a person and it’s hard not to find little things about people that grate. Overall though, this is a great pop album and it fits neatly into the current advent of female pop auteurs. I would call it a mold, but given how individual each of these artists and their albums are, that just seems disrespectful. I highly recommend this album. Beauty Behind The Madness is the Weeknd striking out for more mainstream success. The is the end of the path that his Ariana Grande collaboration “Love Me Harder” started. This is still a Weeknd album and still has some interesting stuff, but feels something of a miss. He had a specific emotion that he was emblematic of. The Trilogy is the feeling of walking home at night while knowing your relationship died at birth. His lyrics and his singular voice both pushed the theme to the point where the music became shorthand for the emotion. This has shades of that, and shades of a more mature look at it, in this album but it has missteps and diversions enough to distract from that core. This is not a bad album, but it is hard not to feel a little let down. “Shameless” and “The Hills” are where his music was always headed, both lyrically and musically and “Can’t Feel My Face”, while new ground for The Weeknd, is indisputably a great pop tune, but “Dark Times” for instance is just lazy tripe. It’s hard to know who to recommend this album to. Weeknd fans will find some stuff to fall into and so will people looking for off-beat pop, but anyone looking for more than a serviceable new album is bound to feel disappointed.